Over four years ago I wrote about my third great-grandfather Thomas K. Stevens who was killed in a grisly mining accident. Born in England in 1845 and married in Nova Scotia in 1868, he worked in Colorado's mines until his untimely death in 1886. I knew a fair amount about his life in North America, but who were his parents? I was at a loss. A newspaper account reporting his death noted that he had an "aged mother who also resides" in Colorado, but she wasn't enumerated with his family in the 1880 census and, well, we all know what happened to the 1890 census. I couldn't identify a candidate who met his mother's profile. Like his wife Susan Day, Thomas' parentage was unknown. 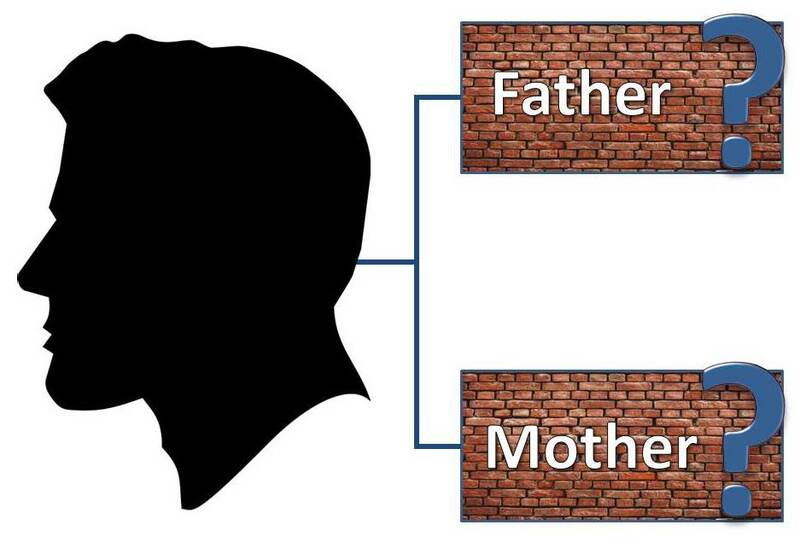 My Stevens family line was stuck at a seemingly insurmountable brick wall yielding few clues. While writing about my most recent immigrant ancestors, I profiled Thomas' son, my second great-grandfather, William John Stevens. Reacquainting myself with the Stevens family prompted me to reevaluate the evidence gathered. I've learned a lot in the past four years about genealogy dos and don'ts and there were a lot of very loose ends left unexplored with the Stevens line. 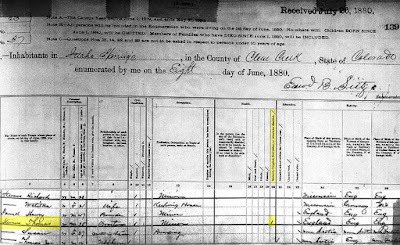 In 1880, Thomas' first appearance in a US Federal Census that I was aware of, showed that he and his wife Susan along with their four children were living in Idaho Springs, Colorado with his brother Richard and his wife Matilda. Curiously, the census noted that Thomas was "Maimed, Crippled, Bedridden, or otherwise disabled." Had there been a mining accident in Newfoundland - where the family was last documented before Colorado - that necessitated a move to be with his family? The census indicated Thomas was born in England as were both of his parents. His brother Richard, though, was a different story. Like Thomas, Richard's parents were both born in England. Unlike Thomas, Richard was born in Wisconsin. Aged 23 in 1880, Richard would have been born in the Badger State in about 1857. Was I understanding this correctly: the Stevens brothers' - or at least Richard - were in Wisconsin in the mid-19th century? Clearly, I needed to examine Richard more closely. I quickly learned that sometime after the 1880 census, Richard and his wife Matilda left Colorado for Iowa where they appeared on that state's 1895 census. In 1902, Matilda passed away leaving Richard a widower. Five years later, an Iowa marriage register (recently digitized) recorded the nuptials between Richard and Sarah Parish. The later-in-life wedding was quite fortuitous because Iowa began documenting the parents of both the bride and groom. Richard's second turn at love gave me his parents' names: Henry Stevens and Sarah Kitto. These were also quite possibly Thomas' parents and my fourth great-grandparents. My only hesitation was whether either parent had died and the other remarried resulting in the brothers actually being half-siblings. But with names in hand, perhaps I could answer that question. I searched Ancestry's online database of English marriages dating back to 1538, and struck gold. A text-only transcription detailed a marriage between Henry Stephens and Sarah Kitto that was solemnized on April 20, 1844 in the village of Breage, Cornwall. To my great delight, FamilySearch had digitized the parish registers, including the Stephens-Kitto wedding. After trawling through the unindexed images, I found what I was after. The marriage record also provided the names for Henry and Sarah's fathers, my fifth great-grandfathers: Henry Stephens (Sr.) and John Kitto. The family tree was in full bloom. 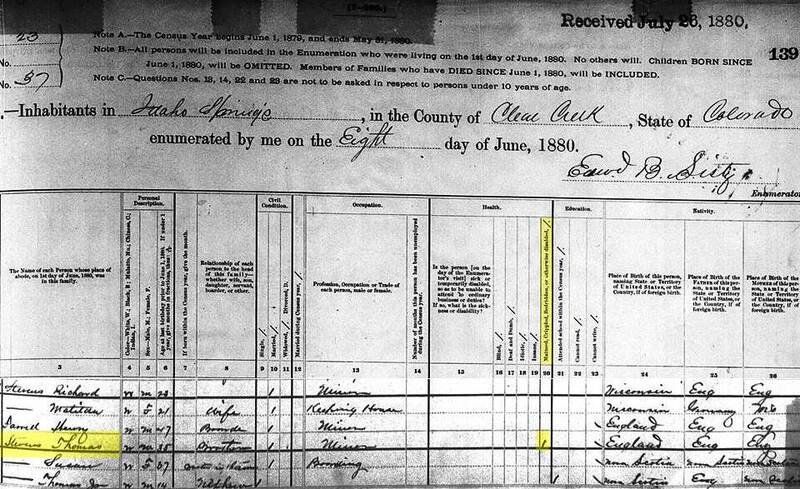 Knowing that Thomas K. Stevens was born in 1845, I began paging through dozens of baptism records. At last, there he was! My third great-grandfather Thomas Stevens/Stephens was baptized on November 21, 1845 in Breage, Cornwall. Like his brother Richard, he was the son of Henry and Sarah (Kitto) Stephens. The English marriage and baptism records were just the beginning. I now have an entire branch of my family tree rooted in Cornwall, and wonderfully comprehensive church records are helping me bring them back to life. There's plenty to keep me busy for the foreseeable future. In the meantime, I think I'll savor this discovery. Excuse me while I binge-watch the British historical television drama Poldark, and imagine my ancestors living in the beautiful Cornish landscapes! As a big Doc Martin fan, I was immediately intrigued to see you had Cornish roots. What a great find, Michael! Now get yourself to Cornwall! Cornwall is now high on the must-see list, for sure. And Doc Martin, too. Thanks, Amy! Congratulations, Michael. Well done! Several times while reading I was thinking, "Yes! Yes! Yes!" as you discovered each new record. Isn't it nice when the pieces fall into place so nicely? Thanks for the congrats, Cathy. I do appreciate it. That's my understanding, too. I connected with a distant cousin who shared that mining drew many folks to Wisconsin during that era. I had no idea! Love it! These excursions into family history are like watching a courtroom drama, with Perry Mason saying--"and that proves that You were born in Cornwall, so there IS a relationship. "I have a line that may have been owners of mines in Corning, so I was intrigued by the characters and background of Poldark, too. (although not so much enamoured by the plot, sadly). One of these days, I will get back to that line and see if the family traditions are true. Spot-on analogy, Vera! We all play our best Perry Mason when we're uncovering our family history. And sometimes movies and television can help us visualize the lives of our ancestors, even if the plot leaves something to be desired. I read that surname as KITTS not Kitto. I did also---at least on the first document. I can definitely see that on the Iowa marriage register. However, when I dug into the church records in England, I discovered that the Kitto surname is rooted in Cornwall. The record transcriptions have it spelled that way, too. I think it looks more like Kitto on the English marriage record.